Christmas St Petersburg & Clearwater Florida 2018 is celebrated through family activities and Christmas weekend events. Christmas is not just about shopping for the holidays, but its also about doing things with friends & family. There are many things to do for Christmas in St Petersburg & Clearwater Florida. Check out the events directory to find out whats going on in St Petersburg & Clearwater for the holiday season. Prepare your Christmas lists and come meet Santa at The Mall at Sundial this holiday season! Santa will be at Sundial every Friday, Saturday and Sunday (from 11/17-12/24). This Saturday, December 22, 2018, at 8 PM, Sundial St. Pete will load the money machine with $25,000 and give one lucky winner the chance to grab as many $100 bills as they can in 30 seconds. Your chances are better than winning the lottery! BridgePoint’s Christmas at The Mahaffey Theater is the highlight event of the Christmas season! You don’t have to just dream about a white Christmas at TradeWinds, substitute sand for snow and get ready to Just Let Go! Guests can enjoy a wide array of activities to get in the Christmas spirit like ornament decorating or mason jar snow globes. Chicago Style Italian Steakhouselocated in St PeteHistoric Kenwood. A little off the beaten path... loved by locals! Sirata Beach Resort invites friends and family to celebrate the most wonderful time of the year with a special Christmas buffet. Recovery Ranch Drug Rehab Santa Barbara CA are much more than a sober living or addiction treatment center. Come join 3 Daughters Brewing and Fit2Run, The Runner's Superstore for another free run. Sign up is at 6 PM, announcements/warm up 6:15, run starts promptly at 6:30. Runners will enjoy a free beer after the run. Westfield Countryside is extending our hours for this holiday season! 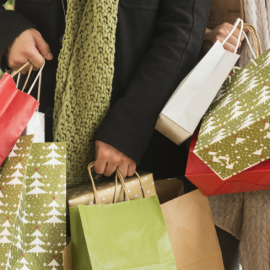 Westfield Countryside is your place to shop for all of your holiday gifts! Sea of Lights Boat Cruise! Join us for a festive holiday boat cruise around our local finger islands. Enjoy holiday views, sing holiday songs, and participate in holiday-themed trivia. Make a night out of your visit! Sunsets at Pier 60 not only provides free movies, but also unique treasures made by artisans and crafters, as well as daring live performances by world famous buskers! Get in the Christmas spirit and join us for a Xmas movie night! We will be screening a Christmas Movie every Friday for the month of December! A Prediction Run is entirely different from other races you’ve run previously. Rather than finishing first or running the fastest, the object of a Prediction Run is to finish as close to the time as possible that you predict. Free Paddleboard Clinic & Demo! at Clearwater Beach Paddleboard & Rental Co.
Sign up at Clearwater Paddle Board Company’s 439 Poinsettia Ave. location throughout the week then meet at the shop 9:00 am the following Saturday! Still this will be the most anticipated concert of the holiday season. The doors will open at 7PM, the first act will now be Bay area favorites The Stone City returning from a long hiatus of wood shedding and writing hit songs.